VGB Live is in full effect this week people, as we do our best to enlighten you about the gaming world and beyond. On the show we have Sir Aaron Carter, Cory Vincent, Alex Baggs and Lareesa gong for the hat trick. We start off the show with banging around the Web, looking at some of the big highlights in gaming and geek culture. We touch a little on PAX east and the news dropping out of that event. 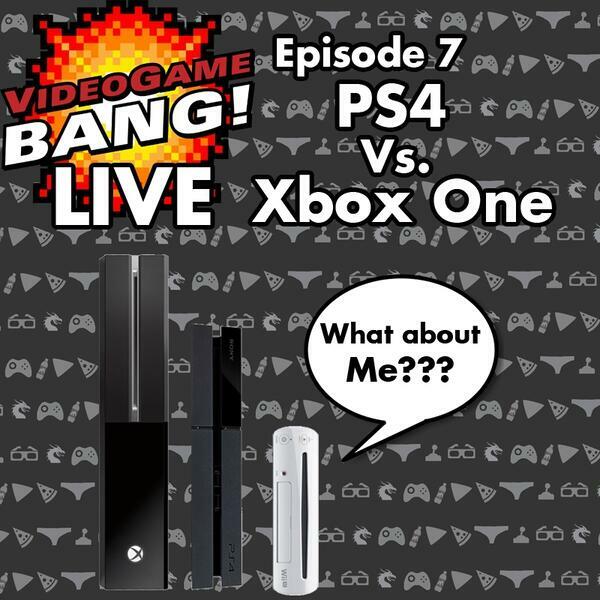 Then we delve into the big discussion about the current state of the console war and which side you should be on. Will you be picking up an Xbox One soon? Will Lareesa ever go home? Is Master Seymour the gaming prophet we all been waiting for? All will be explained and more on the this week's episode of the Videogame BANG! Live! Videogame BANG! Episode 74: $10,000?!? !